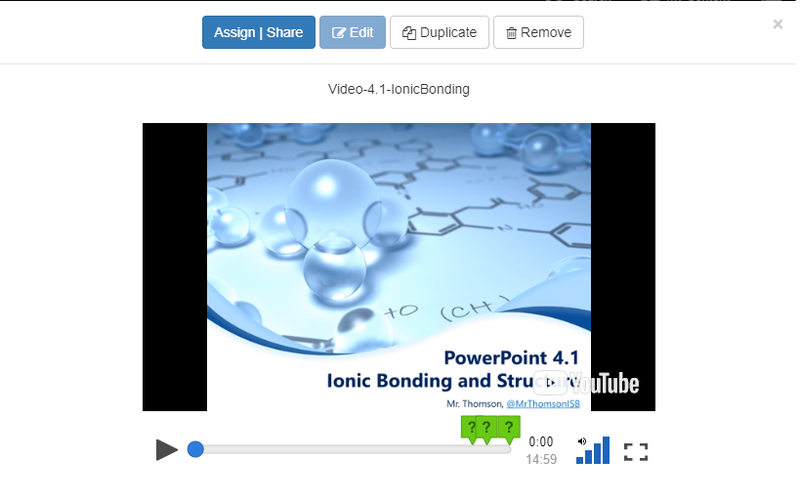 I have been using videos as a primary means of delivering new content to my IB Chemistry classes for quite a few years. I view this as a viable method for a few reasons. But that's not the focus here. Rather, I would like to discuss the use of the EdPuzzle online platform for video delivery in place of Haiku. With Haiku, my videos were hosted on YouTube (and that hasn't actually changed, as I still use YouTube for hosting my videos). In this format, students watch the video as homework and take notes on the handouts (graphic organizers) I provide (some discussion in a previous blog post). Throughout the videos, I ask checkpoint questions - which I use as formative assessment. In the past my students filled out Google Form (documented here in a blog post). It worked reasonably well, but I have found over the years that as the course progresses, fewer and fewer students were completing the Google Form for each video. Hence, my desire to try something new that would allow for a bit more accountability. With EdPuzzle, I have created three classes for my Year 1 IB Chemistry course. I then create a new video in EdPuzzle simply by using the URL from YouTube. Once I have created the content in EdPuzzle, I can edit the video by cropping each end to make it a bit shorter. And the really cool feature that drew me to EdPuzzle is the ability to insert questions. As the students watch the video, it will pause and ask them to respond to a question that I have inserted. This can be a multiple choice question or a free response question. Additionally, I can simply insert some text as a description. For example, if I'm using a video from YouTube that isn't mine and I want to annotate a main idea from the video this feature would come in handy. My last question on every video is, "What questions do you have that we should discuss next class?" These student-generated questions then drive the majority of my review discussion from the videos, as I take time to answer each question. Within EdPuzzle I can comment on student answers as well. I sometimes use this to give students links to resources related to their question to give them a head start on the answer. Below are some screenshots of EdPuzzle, with a caption to offer some description. Image 1: Editing the video to insert questions - viewed as green question marks near the end of the video. Image 3: Student Viewing Data. Notice the section where the student reviewed the video twice, and the section skipped. Also note the green question answered correctly, the red question answered incorrectly and the last question left blank. 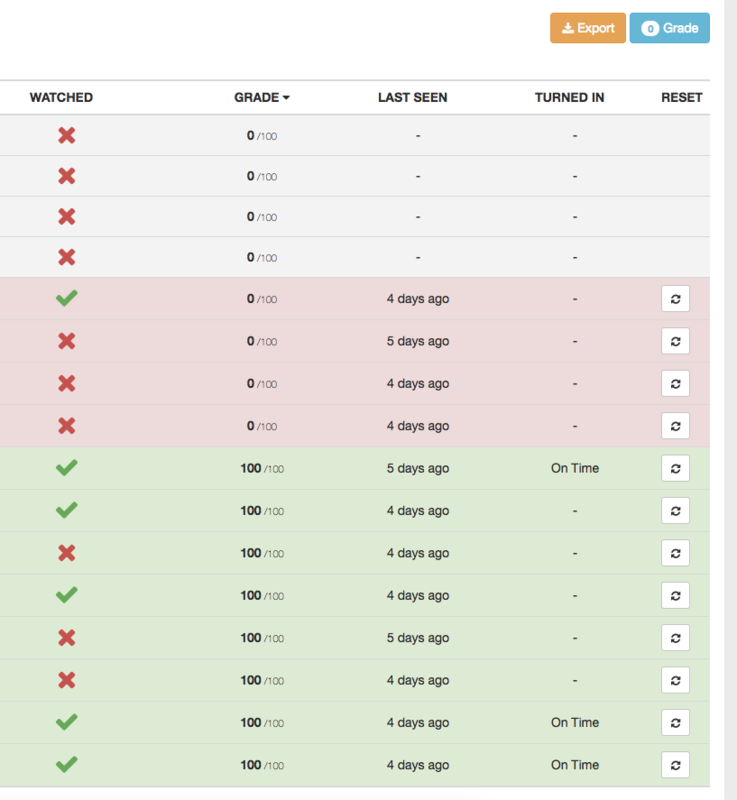 Image 4: Class data for a particular video, showing completion of the video (green check) or incomplete viewing (red X). Scores on questions are also given. Image 5: Question data for a specific video, showing the number of student responses to each question. Image 6: Multiple Choice Data for a Single Question from a Video. Image 7: Student answers to free-response question - with student names redacted for privacy. Overall, I'm quite pleased with my choice to move to EdPuzzle. I like being able to track how the students are watching the videos. I don't give any points/grades for the videos - but when students struggle, I can offer this data to parents as a possible indication of the reasons for a student's struggles. 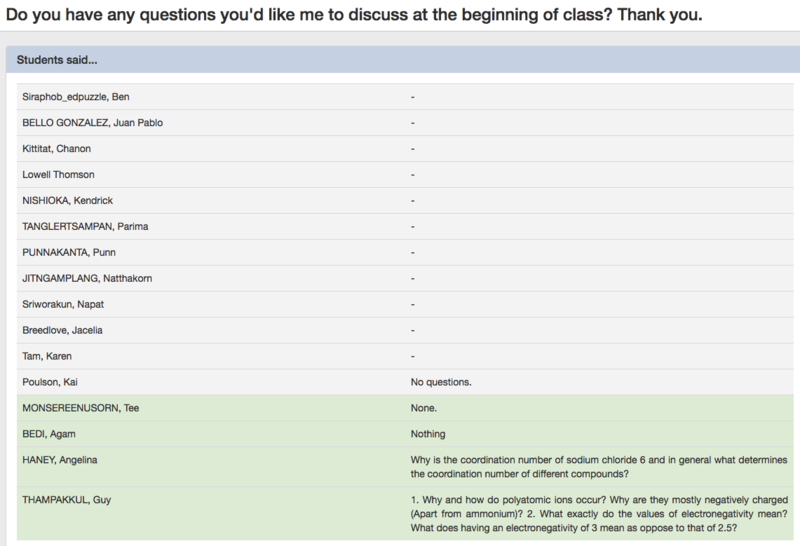 I also appreciate the formative assessment data that is generated by student answers to my questions. I can see if I am teaching a concept well enough - or if there are gaps in my explanations and I need to revisit concepts in class. And as mentioned, the ability to provide comments to individual students is a nice feature. Student response to using EdPuzzle as a platform for videos has generally been positive - although to be fair I started from Day 1 using EdPuzzle with this group so maybe they don’t have a fair comparison. They have not used Haiku. And best of all, EdPuzzle is currently FREE! All of the features described here are available in the free version. However, schools can purchase a premium gradebook feature. A few suggestions that I have passed on to the programmers at EdPuzzle: I would like the ability to randomize - or NOT randomize - the multiple choice questions. Currently the MC questions are randomized and I would prefer to turn that function off. And I would love to have students get a notification if there is a comment for one of their answers. EdPuzzle has been responsive to these suggestions, which is refreshing to see. If you're using a Flipped or Blended model, what platform for videos do you use? Hi! I have been using EDpuzzle for about 4-5 years. I also love it. The platform is easy to use and it is essential if you want to track your students in a flipped clasroom environment. My students also like it a lot since they are able to watch on their own time, rewind, rewatch, and take notes at their own pace. The Edpuzzle team is very reponsive about questions and recommendations you may have. I have access to the school channel which connects me to other colleagues in my school so we can easily share videos and projects. It also stores my videos so they don't have to be public. It comes with EDpuzzle gradebook which allows me to see all the videos for a particular student at the same time- a great resource for parent conferences. Lowell, you did a great job explaining the platform. I hope everyoen gives Edpuzzle a look- you don't have to flip every lesson! Try just test corrections, unit reviews, or pre-labs!